Kenya and Tanzania are the home of African wildlife safari in East Africa with Kenyan safaris being the most popular. Our range of products include Kenya safaris combined with Mount Kenya Climbing, Mount Kilimanjaro Climbing and Tanzania safari tours. Kenya and Tanzania safaris combined can be enjoined with hiking Mount Kilimanjaro and Mount Meru hiking. Masai Mara safaris is the most popular African safaris trip that will allow you to see as much wildlife as possible within a short duration. The boundless wilderness and big game of this Africa's region has long attracted adventure seekers from all over the globe. 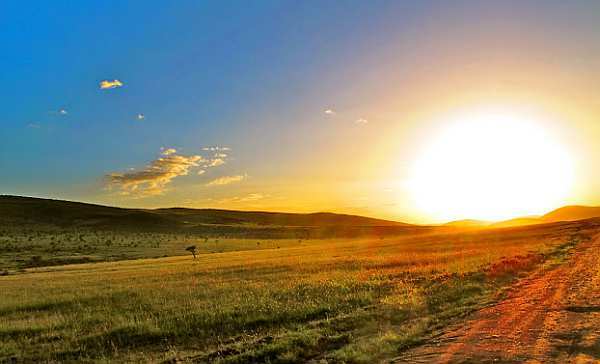 No other African country can boast such an incredible range of landscapes, unique geographical features and species. The 3 day safari Masai Mara is one of the most unique trips that East Africa offers. Welcome to Mount Kenya Climbing Expeditions website with a wide selection of East African travel, expedition and safaris. You will find this website useful for your African safari tours planning and we will be happy to be your African host, where a warm welcome awaits besides the unique and diverse people, culture, wildlife and landscape; the magical land of Mt Kenya, tropical Indian Ocean beaches of Mombasa and the annual Masai Mara wildebeest migration crossing between Maasai Mara in Kenya and Serengeti National Park in Tanzania. Check our our offer for the 3 day safari Masai Mara or Sirimon route Mount Kenya in 4-days and also Mount Kenya Chogoria route which is the most rewarding and scenic of the Mount Kenya routes. The best Mt Kenya climbing months are January, February, August and September being the drier period with the most reliable weather pattern. We are a specialized African safaris company offering safaris in Kenya and Tanzania and more so specialty in Kenya and Tanzania adventure hiking including Mt. Kilimanjaro Climbing. Kenya Tours and Tanzania Safaris - Through Masai Mara, Ngorongoro, Serengeti, Lake Nakuru and many other beautiful wildlife parks of East Africa to witness the annual wildebeest migration. Masai Mara safari tour is famous for the animal migration safaris tour. Why not try out Nairobi National Park day trip or Nairobi city tour if you are on a short visit to Kenya. 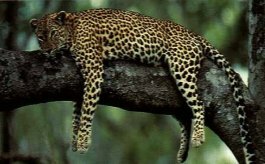 Tanzania holiday safaris Travel: A Travel Guide for people traveling in Tanzania safaris as well as an information guide. Tanzania is one of the unique destinations on the African continent that has yet to be discovered by many. It is a land of many wonders with an un-paralleled diversity of fauna and flora. 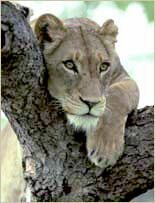 Check out offers for Tanzania holiday safaris. 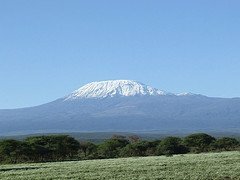 Mount Kilimanjaro is the highest permanently snow-capped free standing mountain in Africa, the exotic Islands of Zanzibar, the finest game sanctuaries of Serengeti, Tarangire, Lake Manyara, Ngorongoro Crater, Ruaha, Selous and the Marine Park of Mafia Island are only but a few of the living examples. Tanzania lies between the area of the great lakes, Victoria, Tanganyika and Malawi - with the Indian Ocean on its' coastline to the east. You can learn more by sampling our Kenya & Tanzania Lodge Safaris combined tours. Consider our most popular 3 day safari Masai Mara to see the highest wildlife concentrations. African safari tours are never fulfilling without inclusion of a visit to Maasai Mara. The main specialty is offering adventure Climb Mt Kenya hiking and trekking. Apart from adventure hiking, we also offer tours in East Africa including luxury tented camp safaris staying at Sarova Mara Tented Camp, Kichwa Tembo Camp, Sweetwaters Tented Camp, Mara Intrepids Camp, Samburu Larsens Camp, Siana Springs Tented Camp, Samburu Intrepids Camp, Ilkeliani Camp and Sekenani Camp. Our Kenya & Tanzania luxury lodge safaris stay in Kenya's premier luxury lodges and hotels such as Mara Serena Safari Lodge, Keekorok Lodge, Sarova Mara Camp, Sarova Lion Hill Lodge, Samburu Serena Lodge, Amboseli Serena Lodge, Ngorongoro Serena Safari Lodge, Lake Manyara Serena Safari Lodge, Serengeti Serena Lodge, Kirawira Luxury Tented Camp, Kilaguni Serena Safari Lodge, Serena Mountain Lodge, Mombasa Serena Beach Hotel, Nairobi Serena Hotel, Fairmont Mount Kenya Safari Club among many others. Check out Masai Mara safaris and get to stay in luxury tented camps which are rustic and eco-friendly. Whether you need a luxury Kenyan safaris, budget safari or mid range hotels, you will find all these in our range of services. Our various Kenya's safari programs are carefully tailored by taking your best interests and comfort into account but more importantly we are flexible to suit your further needs during your stay in East Africa. Climbing Mount Kenya Expeditions has a full-fledged operation and office in Nairobi as well as coordinating offices in Arusha and Entebbe to take care of all our African safari tours. We pride ourselves as being one of the most experienced tour operators in Kenya. Our driver/guides are multilingual and with vast knowledge and experience in their field. Our well equipped vehicles range from safari minibuses, 4WD Land Cruisers/Rovers to 25-seater luxury buses all fitted with high frequency radio calls to ensure we are in constant communication. Mount Kenya Expeditions welcome you to share Africa's splendor, where your adventure meets with the wild! Get to get up close with Masai Mara safaris to witness wildebeest migration. Climbing Mt Kenya safari tour operator is also able to arrange African safaris to Tanzania safari tours and visit the incredible Ngorongoro Crater, Serengeti National park and all the northern Tanzanian safari parks. While you travel with us, get to combine unique experiences with the local touch. Discovering the rare wildlife and getting to meeting local people in their natural settings – that’s what makes this Kenyan safaris so life-changing. Kenya is one of the world’s greatest tourism destinations, known for its remarkable diversity of landscapes, wildlife and cultures. From the snow–covered peaks of Mount Kenya - the scenery embraces mountains, forests, deserts and lakes. Few places can rival Kenya for the safari experience - all of your African dreams covered with us, the local Kenyans with a passion for travel. Expect rather incredible each day! This incredibly diverse country offers a perfect journey and is home to some of the world’s most abundant game-viewing spots. Indulge in a rich cultural heritage, thought-provoking histories and outstanding scenery. Finish the excursion with a few days on the colorful spice island of Zanzibar or the white sparkling beaches of Diani in the South Coast of Kenya. Teeming with surprises and special touches along the way, Kenyan safari will definitely be impressive. • How long does it take to climb Mount Kenya? • How long does it take to walk up Mount Kenya? • How high is Mount Kenya? • How tall is Mount Kenya? • What is Mt Kenya elevation? • When was the last time Mount Kenya erupted? • What are the Mount Kenya technical climbing routes? • Is Mount Kenya extinct? • Is Mount Kenya on the equator? • Where is Mt Longonot found? • Who was the first person to climb the summit of Mount Kenya? • Who named Mount Kenya? 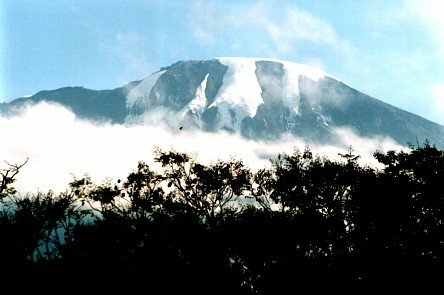 • What peak is the highest volcano in Kenya? • Is Mount Kenya Chogoria route the most scenic? • What are the best months for climbing Mt Kenya? Mt. Kenya is roughly circular, about 60km across at the 200mm contour, where the steep font hills rise out of the gentler slopes of the centered highlands. At the centre of the massif, the main peaks rise sharply from around 4,500m to the main summit of Batian 5,199m, Nelion 5,188m and point Lenana 4,985m. 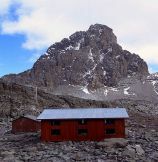 Other major summits on the mountain include Point Piggott 4,957m, Point Dutton 4,885 and Point John 4,883m. Of the three main peaks (Batian, Lenana and Nelion), only point Lenana can be reached by trekkers and the other two being only for technical climbers. Go to Mount Kenya expedition and challenge yourself. Mount Kenya trek difficulty and Mount Kenya technical climbing routes. Sirimon route Mount Kenya is one of the best climbing route accessed from Nanyuki. 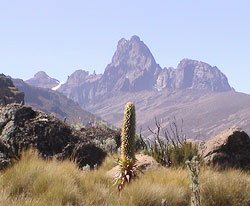 It is best to go Mount Kenya hiking in the months of January to February and also August to September due to having fine weather. Mt Kenya climbing during the other months can be wet and rainy. You can read more about climbing Mt Kenya and hiking mount Kenya. distinct volcanoes, Kibo (5896m/ 19,340 ft), Mwenzi (5,149 / 16,896 ft) and Shira (3,962m / 13,000 ft). whose violent creation is geologically associated with the creation of the Great Rift Valley, 100km to the West. Hiking Mount Kilimanjaro is one of the sought after bucket list while traveling in Africa. Mount Longonot is a stratovolcano found to the southeast of Lake Naivasha, a freshwater lake in the Great Rift Valley of Kenya. The mountain is believed to have last erupted in the 1860's. Its name is gotten from the Maasai word Oloonong'ot, signifying mountain of many peaks. 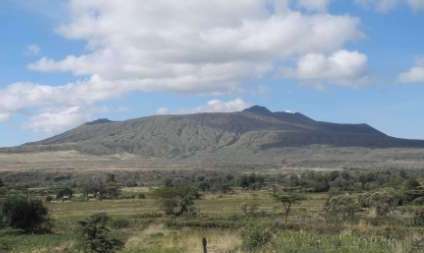 Mount Longonot is secured by Kenya Wildlife Service as a major part of Mount Longonot National Park. A 3.1 km trail keeps running from the recreation center passageway up to the hole edge, and proceeds in a 7.2 km circle surrounding the hole. The entire visit (entryway around the crater rim) of 13.5 km takes around 4–5 hours taking into consideration essential rest breaks - parts of the trail are vigorously dissolved and extremely steep. The park gate is at around 2150 m asl and the crest at 2780 m asl yet following the rugged edge includes significantly more than the 630 m vertical distinction.